Our Team is Ready to Organize Your Home! Life can get a little crazy when you try to balance work, family, finances and fun at the same time, but being organized can help! If you’re tired of feeling overwhelmed by the clutter in your home or office, Major Organizers can help organize your belongings and get you back on track! Our professional organizers will not only help declutter your home, they’ll also help set up a strategic organization system so you don’t wind up right back where you started. Major Organizers offers a variety of organizational services including residential organizing, virtual organizing, package pricing and organizational workshops. If you’re ready to enjoy the benefits of living an organized and stress-free life, contact our organization specialists today! The thought of organizing can bring up anxiety and emotional stress to many homeowners. Let our organizing experts liberate you from clutter and disorganization. If you have a passion for organization, we offer three career tracks at Major Organizers to become an assistant organizer, professional organizer and certified professional organizer. Interested in becoming a Major Organizers® franchisee? 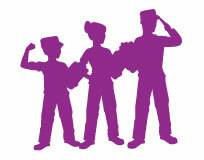 We’re raising an army of organizers to restore order to the world, one household at a time! Sign up for our e-Newsletter to receive valuable organizing tips and offers. 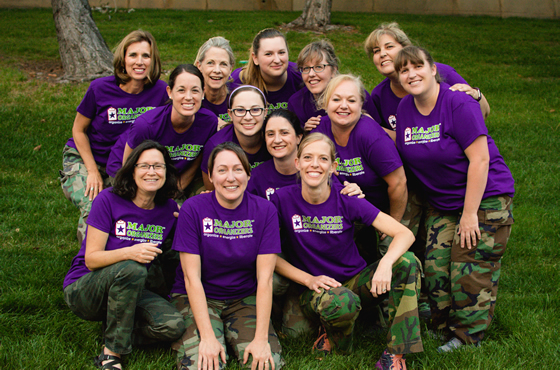 At Major Organizers, our skilled and experienced professional organizers are passionate about converting your cluttered home or office space into a workable solution. When you contact our Major Organizers Liberators, we’ll work with you one on one to streamline your home or office environment and create effective strategies that encourage an organized lifestyle moving forward. We offer a variety of organization services including virtual organizing, package pricing and organizational workshops for those looking to simplify their busy lifestyle and increase productivity. 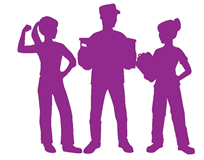 We also offer employment and franchisee opportunities for natural born organizers to join our team of Major Organizers Liberators. If you’re tired of living in constant clutter, contact Major Organizer today to schedule a professional organization appointment for your home or office!